3. Add chili water, shoyu, tea, chicken stock and vinegar reducing for 6 minutes till concentrated by ¼. 4. Pour Coconut milk into silken and add miso whisking to dissolve. 5. Add Prawns with tomato and mushroom for about 3 minutes on simmer till prawns are cooked and serve. 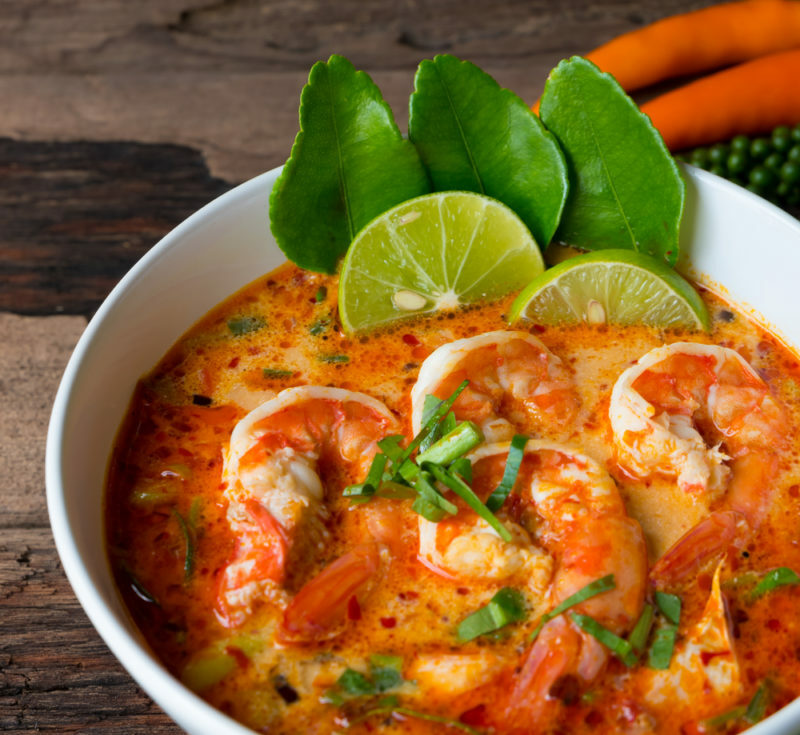 You may use the shells of the prawns in the broth for flavor. *All of these ingredients are used for Chef Aptakin’s Layers of Flavor catering company based in Hawaii, causing most of these ingredients to be sourced in Hawaii. However, you may use generic ingredients if these particular sources are unavailable in your location. Learn more about Chef James Aptakin and our Chef Advocates here!